Freeze! 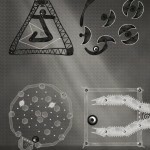 (Free) by Andreas von Lepel is a beautiful, physics-based puzzle game that will leave your head spinning — in a good way. 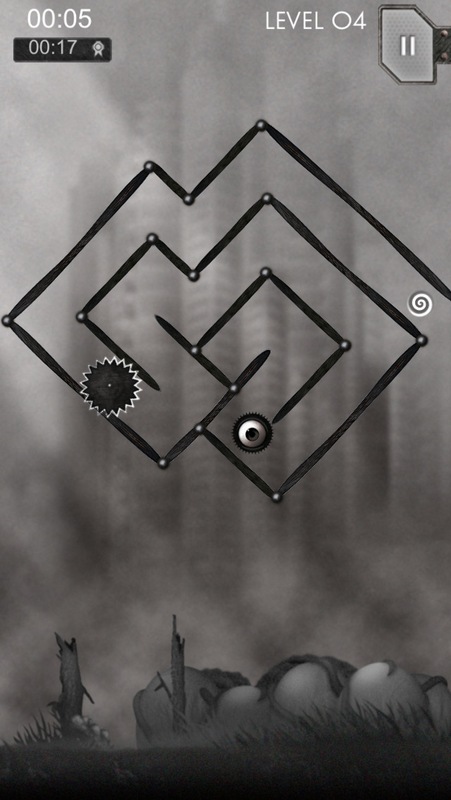 I’m always a fan of puzzle games on iOS, because it’s simply the perfect platform. 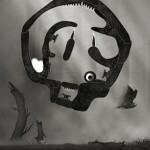 And who doesn’t like a nice puzzle that also tests their reflexes and skills? 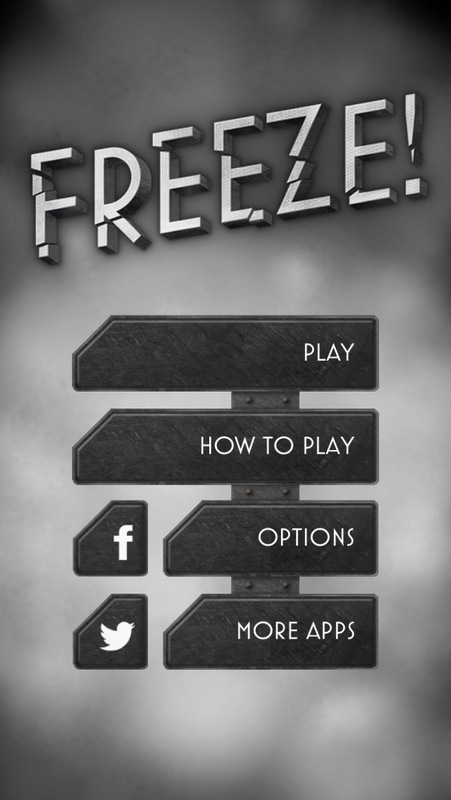 That’s what Freeze brings, and it’s all wrapped up in a stunning package that makes it worthy of being on all iOS devices. 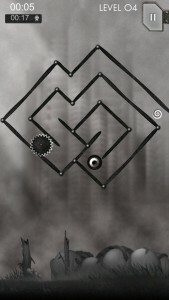 First off, the black and white visuals in Freeze are just gorgeous. 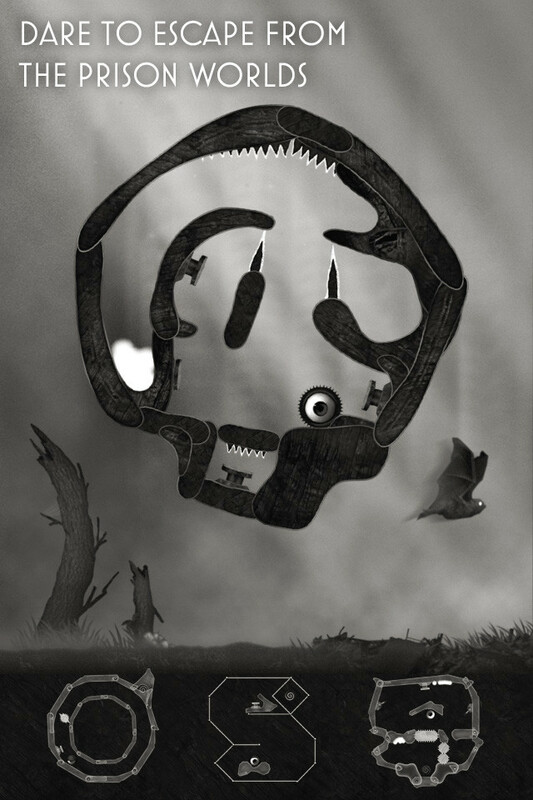 I'm a fan of the B&W art style of games, like that found in LAD and Splode. 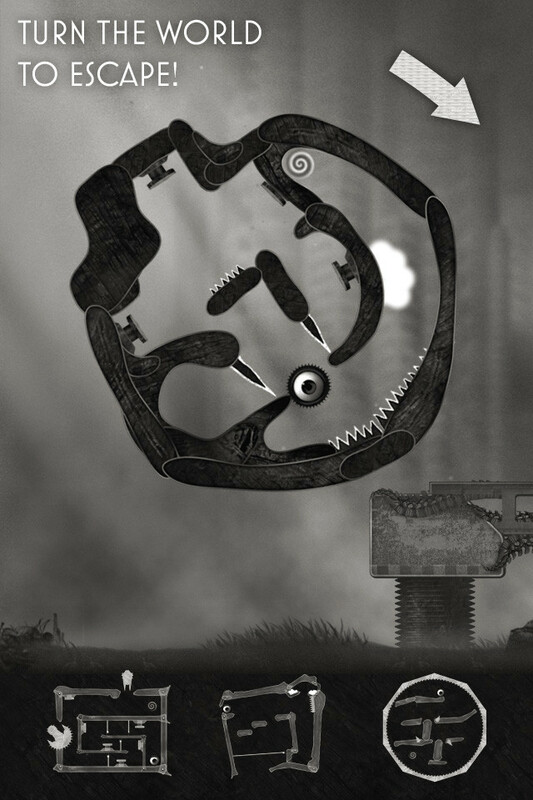 It adds a certain, darker mood to a game that I can definitely appreciate, and it makes it stand out among the rest of the physics puzzlers out there. 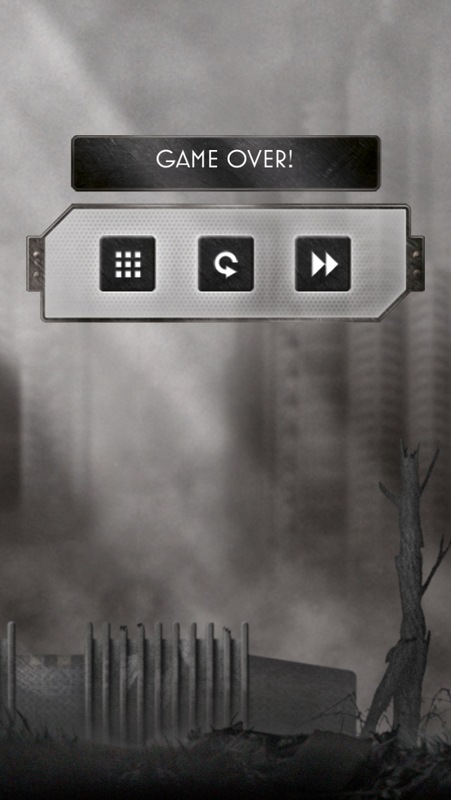 And the music and sound effects here are top notch. The game starts off with an anonymous hero, who was having a fantastic day with his loved ones. Suddenly, a nasty grappling hook tears him away and imprisons him in a cramped up little cell on a far away planet. 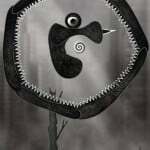 Your job, with the aid of physics and gravity, is to help him escape. 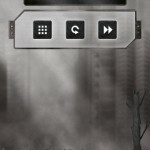 With the initial download, you will get the first world and 25 levels. 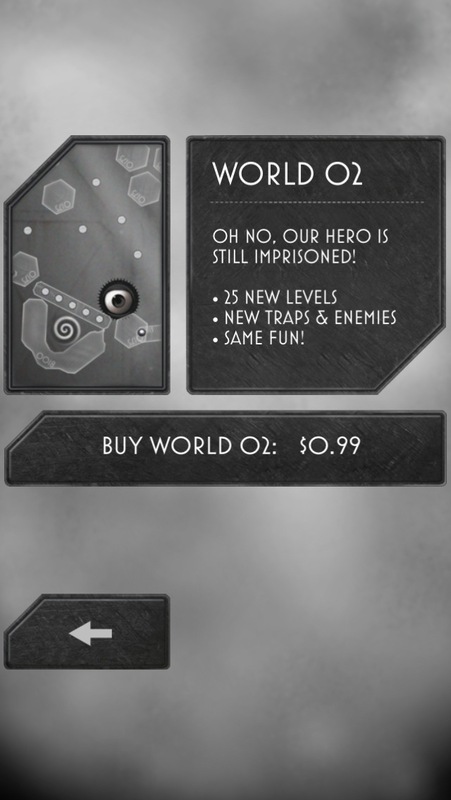 Currently, there are two worlds available, with the second one being a $0.99 in-app purchase. 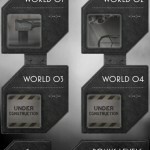 From the looks of it, there will be a third and fourth world coming in the future, but as of yet, they will be unavailable. 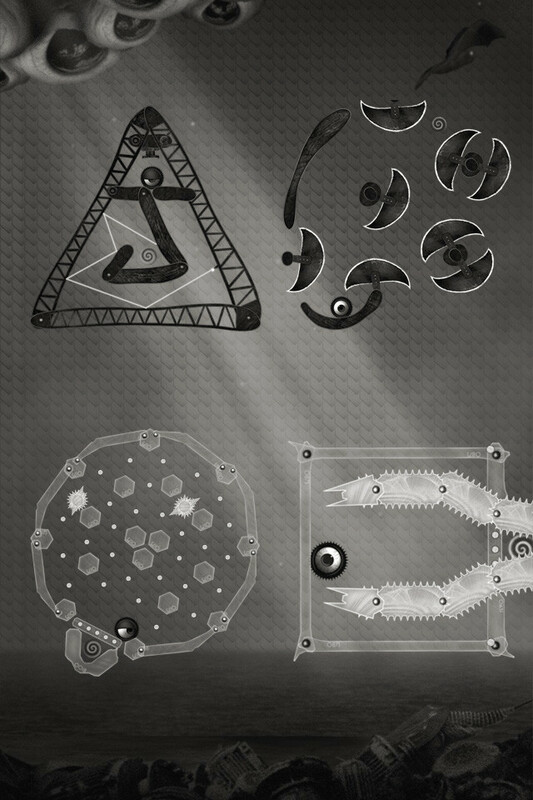 Additionally, there are bonus levels that you can unlock with a tap. Even though the second area must be bought, there’s still a good deal of content available for free (a limited time promotion), so there’s not much to complain about. 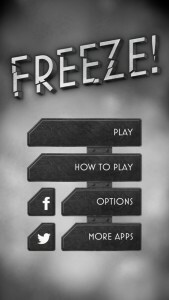 So how do you play Freeze? 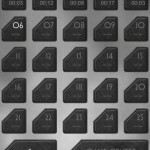 Each level will contain our hero, who is trapped in a cell. Your job is to help guide him to the portal safely, without touching dangerous obstacles, such as spikes, sentries, and guillotines. 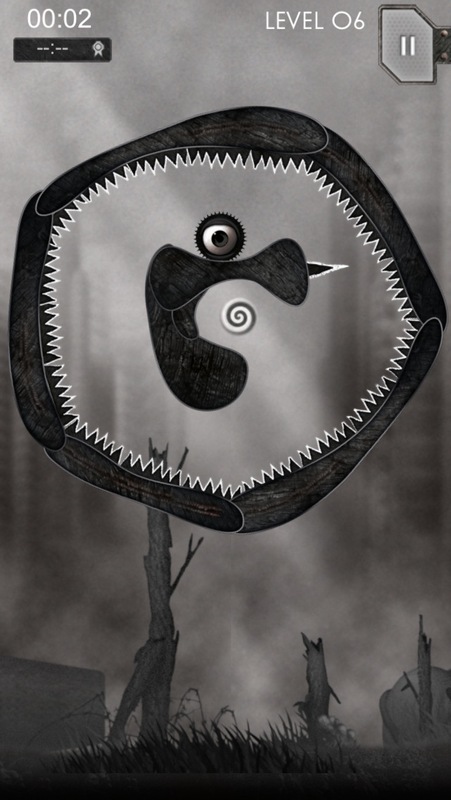 To do this, you can just drag your finger on the screen to rotate the prison cell, which will cause him to move. Sometimes, though, you will need to tinker with gravity in order to get him to the destination. 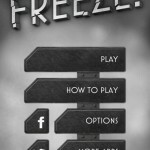 Some levels will have a “Freeze” button, which will freeze our hero in whatever position he is in. 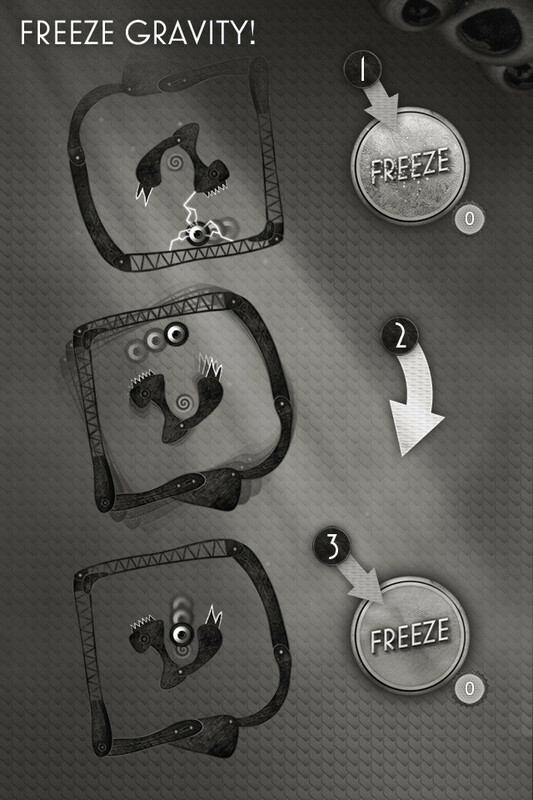 When he’s frozen, rotate the prison appropriately, and then you can unfreeze him, so he hopefully drops onto the portal. 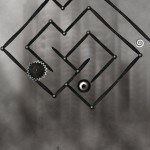 While there are no stars to earn, you will want to solve these puzzles as fast as you can. 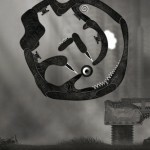 I can guarantee that you will attempt some levels multiple times in order to get the best time possible. 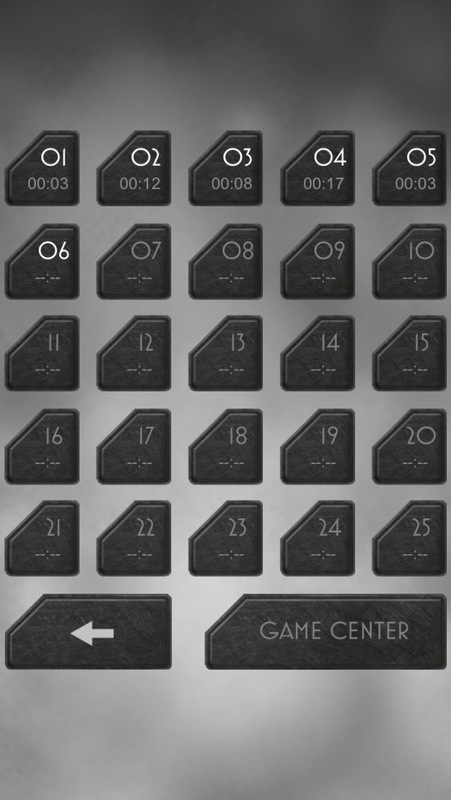 Once you clear all of the levels, you can submit your total time to the global leaderboards on Game Center. The game is beautiful, simple, and incredibly challenging. I’m still going through the first 25 levels, but I believe I will purchase the second level pack once I’m done with the first. 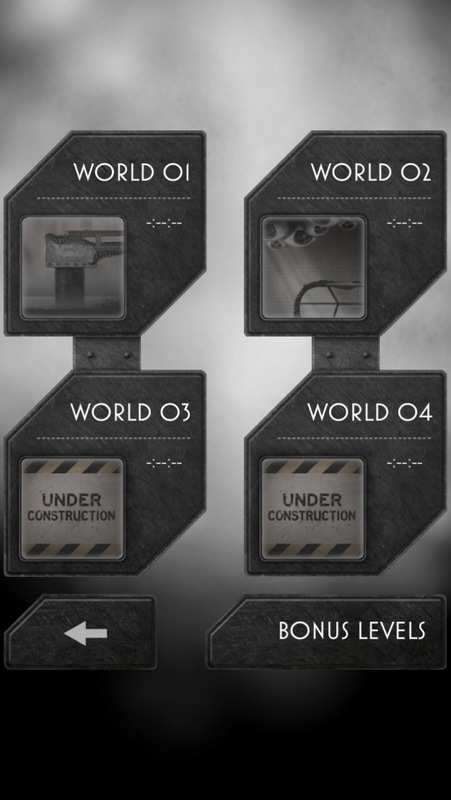 I also look forward to seeing new levels and content added in the future, hopefully sooner rather than later. 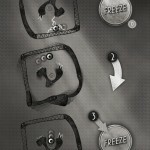 If you are a physics-based puzzle fan looking for a truly beautiful gem of a game, then Freeze! is what you want. 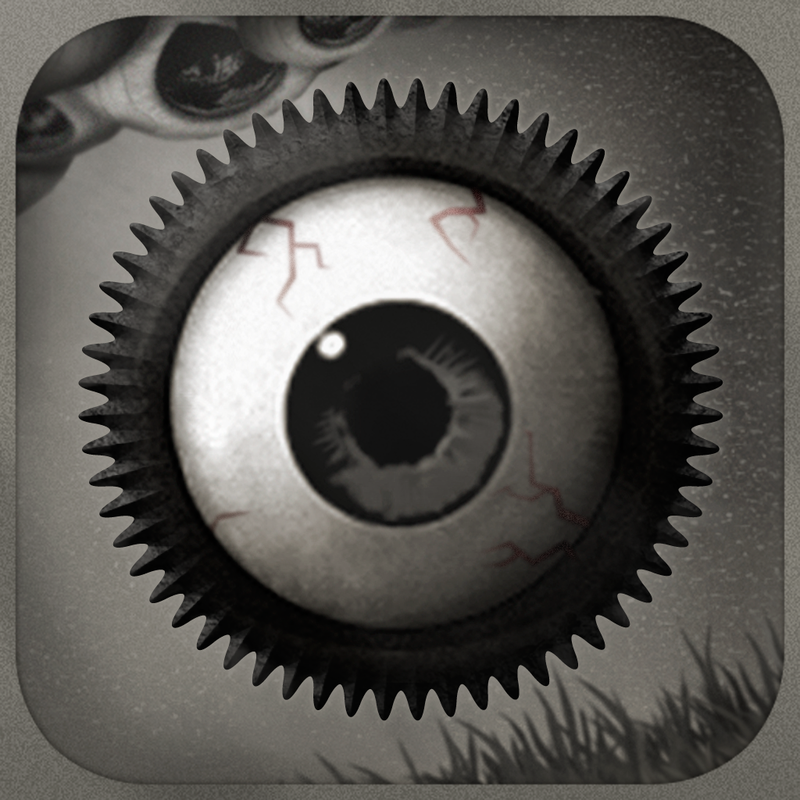 Make sure to grab it for free in the App Store for your iPhone and iPad. The launch promotion will only be available for a limited time.